You are here: Home / Recipes / Appetizers / Pesto! Not (Just) Your Mother’s Basil Pesto! No offense to Mom, or anyone else in your life for that matter. When people talk about pesto, usually the first thing that comes to mind is ‘traditional’ classic pesto. You know the one, it’s a delicious literal mash-up of: basil, salt, garlic, extra virgin olive oil, pine nuts and a grated hard cheese like Parmigiano-Reggiano or Romano. You can make pesto out of just about anything! Why stop at basil and garlic? Mix it up. Pestos are all about creating robust, bright, intense flavors. They can also be seen as a great use of spring greens. Are you staring down a bounty of greens in your garden? Make a pesto! Need a use for some of your uglier produce – Pesto! It’s all about the flavor. Who cares what those particular greens look like. Because it’s mash up the bruises will be worked right in! Next, think outside of the box with how you’ll use your pesto creation. They make the perfect addition to a wide variety of dishes – especially grilled meats and pasta. Make a large batch. You can also freeze the excess. Use it in the offseason to bring back the robust fresh flavors of Spring and Summer to a hearty Winter soup. This Kale Pesto is very much like a classic basil pesto. It is green and full of garlicky-goodness. The garlic is emphasized by the fact that kale offers a more earthy and robust flavor than basil. If you don’t like basil? Try this version of pesto! 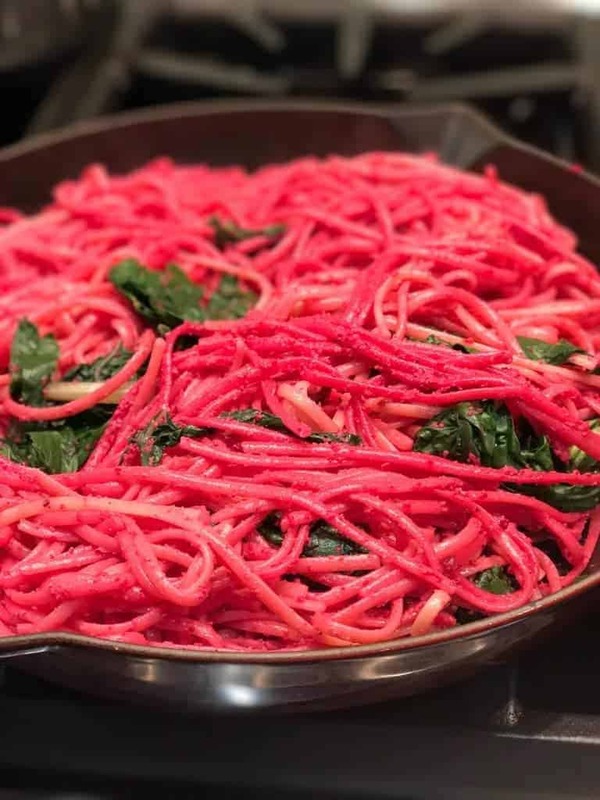 Pestos are full or bright intense flavors and this gorgeous beet pesto is no exception. This recipe was specially requested by a friend and co-worker. She had tasted a beet pesto at a farmers market and asked if I could create one. I think it turned out as pretty as it tastes! What greens to you have around? What flavors are you craving? Create your own mash-up (er, pesto)! Dark green, garlicky, magic sauce. Cut each squash in half and remove seeds. Slice each half into equally sized wedges. Place on a baking sheet covered with parchment paper, add oil and salt and pepper, roast for 15-20 min. Until lightly browned and tender. Place kale and garlic in a small food processor and chop until kale and garlic are finely minced. Add champagne vinegar and pine nuts. Process until pine nuts are finely chopped. While running food processor add oil slowly until mixture is smooth. Add salt to taste and a tbsp or two of water to thin to desired consistency. 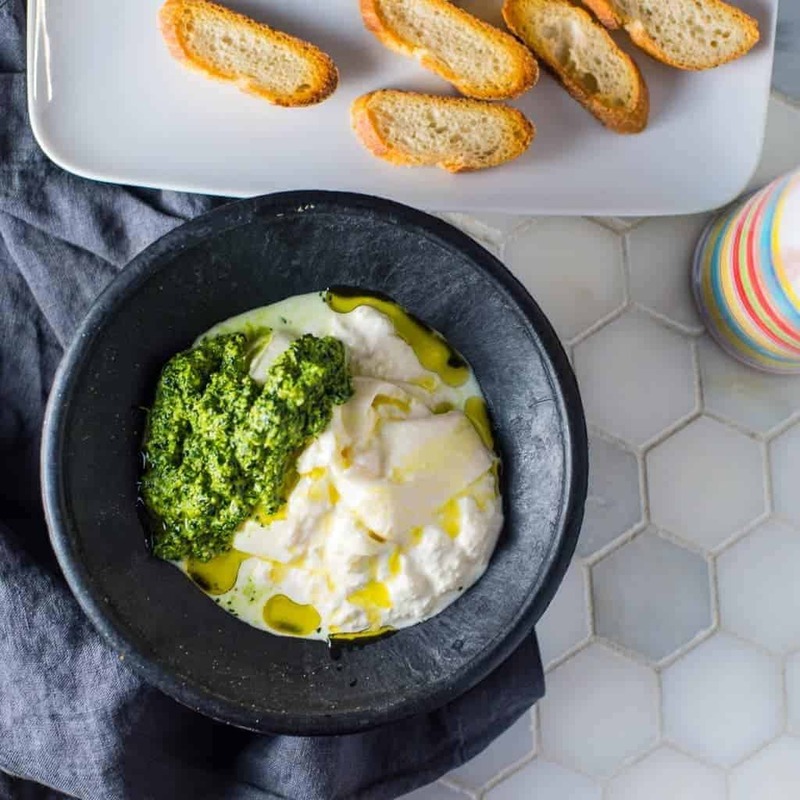 This deep green, garlicky magic sauce is great on roasted vegetables or serve with burrata and crostini. Who says pesto has to be green? Add beets, nuts, garlic, chives and lemon juice to a food processor fitted with blade. Add lemon juice, vinegar, salt and pepper and grated parmigiano-reggiano. Star food processor and slowly add olive oil in a continuous slow stream. Process until smooth and emulsified.